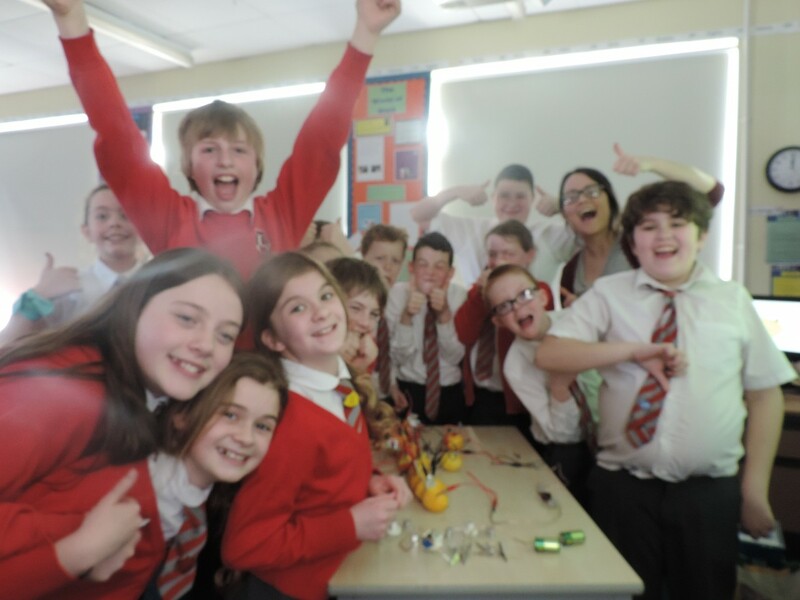 We have been working on building electrical circuits in science with Miss Simpson. 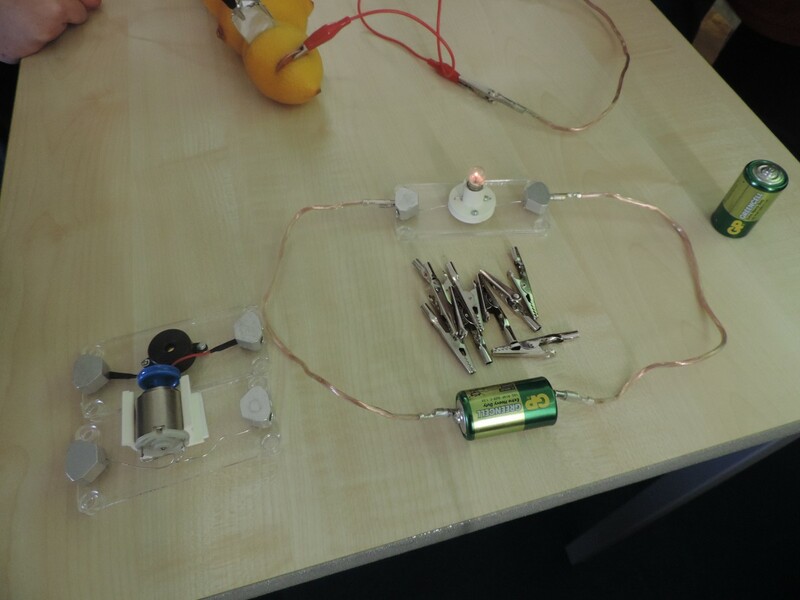 We can now build circuits using a variety of components and can draw circuit diagrams to represent them. 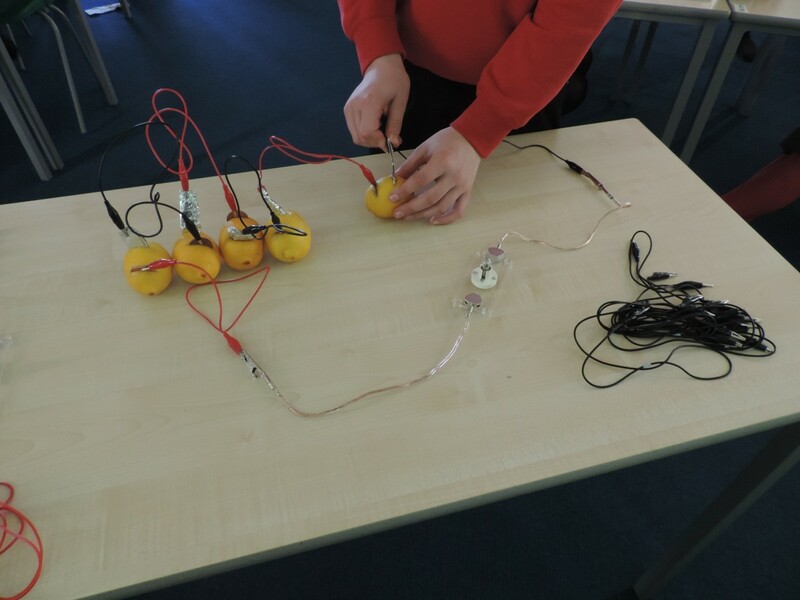 We carried out an experiment where we built our own batteries out of lemons. 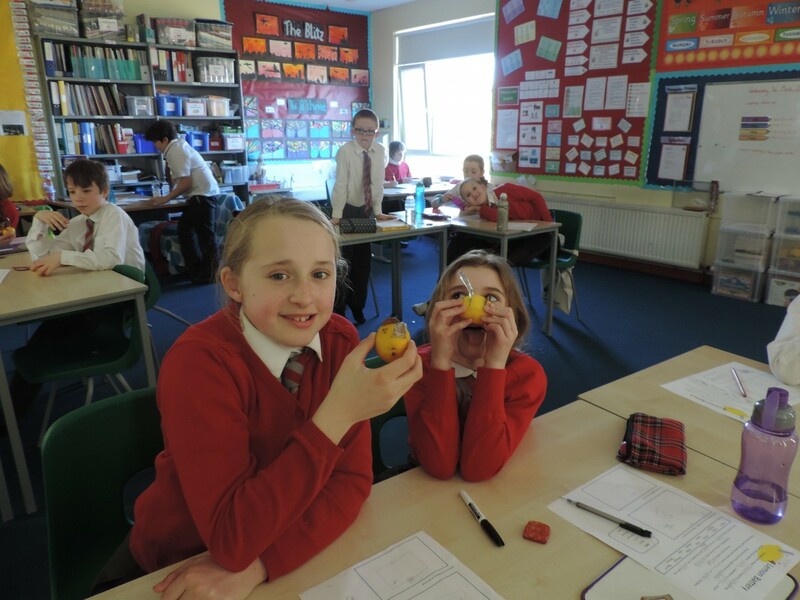 We each had a lemon with a copper penny in it and a piece of aluminium foil in it. The penny and the foil represent electrodes of the battery and the lemon represents the electrolyte of the battery. In batteries a chemical reaction occurs where chemical energy is converted to electrical energy. 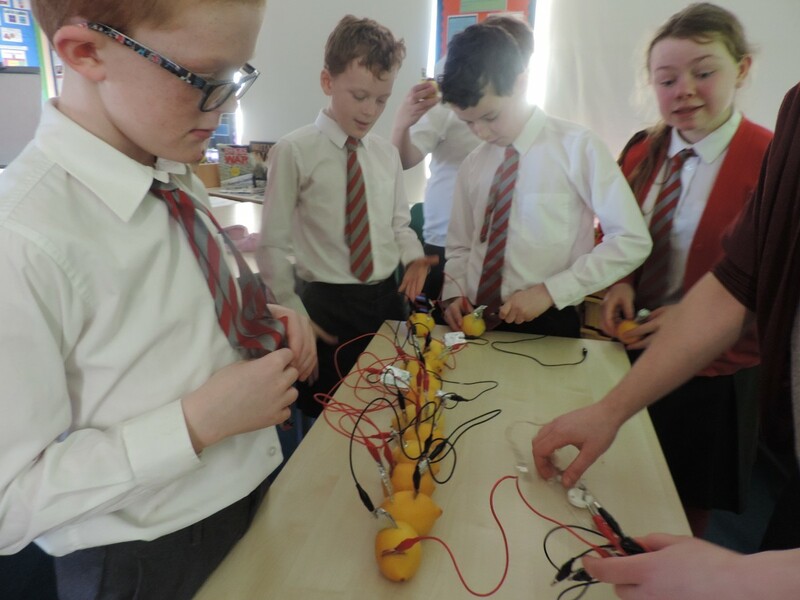 We tried to light up a bulb using 15 lemons but it did not work because enough electrical energy was not being made in the lemons to light it up. We changed the bulb to a buzzer and it worked. 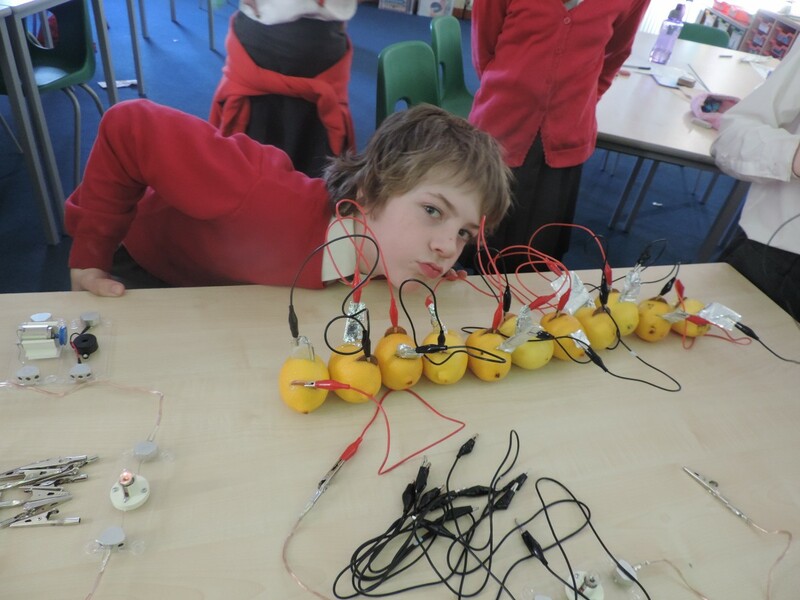 The lemons had made enough electrical energy to power the buzzer!